Just got this super cute game from Tactic USA Inc. 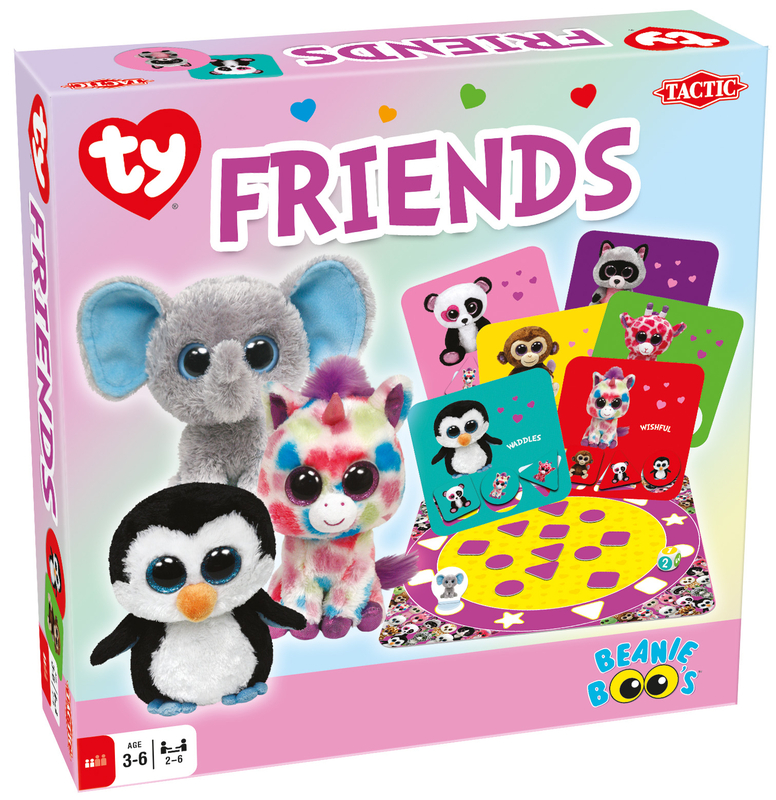 This is a cute little matching game that depicts the cute little TY stuffed animals if you remember these from the 90’s (I was a huge collector lol). My kids really didn’t know what they were but I found it to be adorable. In the box you get the game board, the playing cards with three punch out pieces on each one, a die w/ stickers, and a playing piece. The game play is super easy, states it is for ages 3+ and I would say that is pretty accurate. It’s a simple game play, my six year old will play it but it is above her skill level so she doesn’t play it for long periods of time. My 3 year old grand-daughter will play it for longer and seems to be more geared toward her skill level. It’s very simple punch out the matching cards, scatter them around. Each player gets a game board and the goal is to get all the pieces you for your board. Take turns rolling the dice. If you get a shape like square, circle or triangle you get one of those shapes in the color you roll, if you land on a star you can get any piece you want. Very easy and fun game! Well made, durable cardboard that is thick and will not fall apart. Great way to practice colors, shapes, matching, etc.